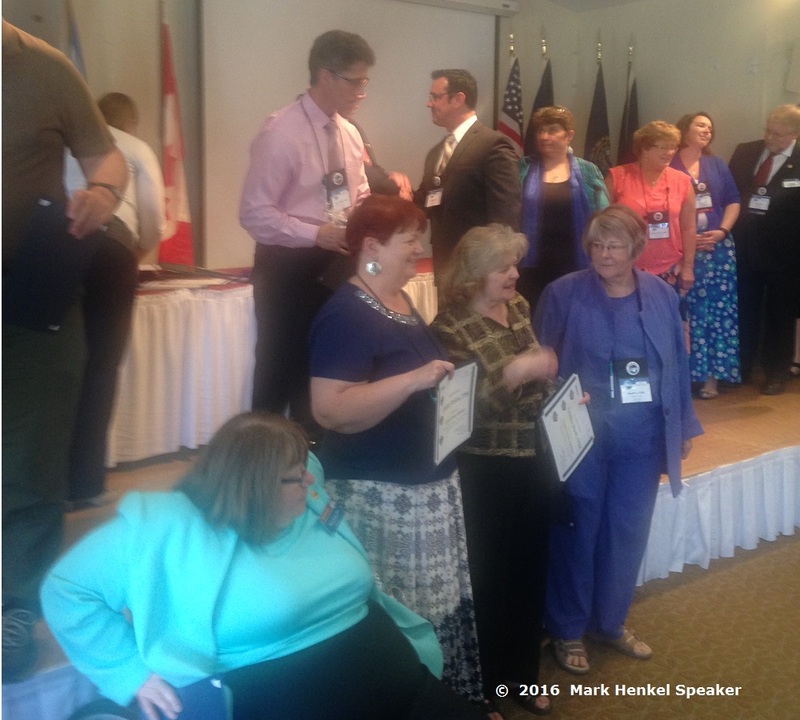 I attended the 2016 District 45 Toastmasters Spring Conference on May 20-22. 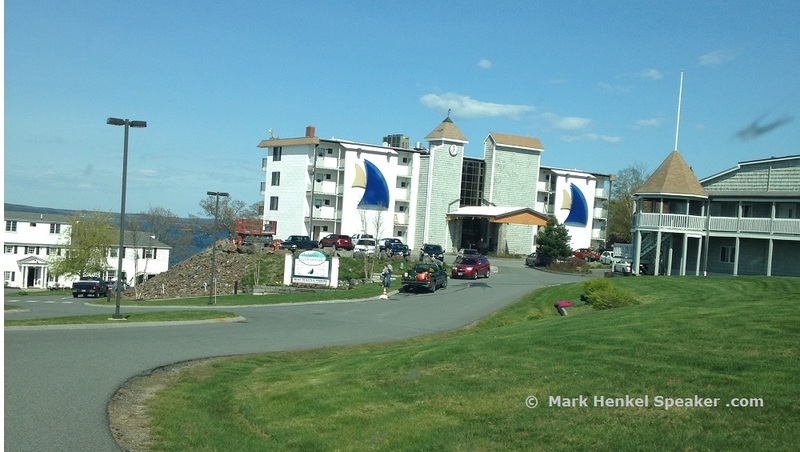 The weekend conference was entirely held at the Atlantic Oceanside Hotel & Conference Center in Bar Harbor, Maine. The building for the Hospitality Suites was gorgeous. 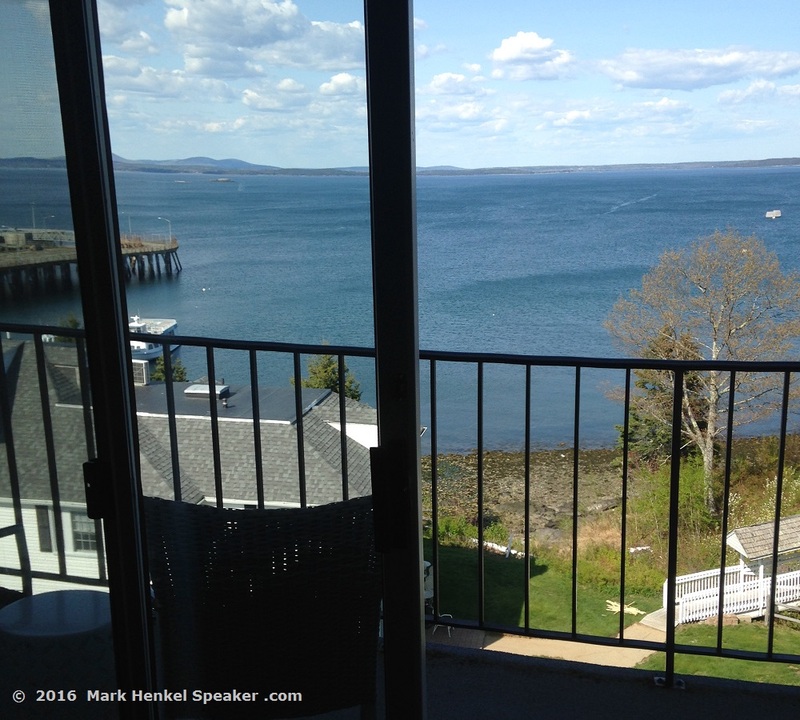 And the view from my balcony room was spectacular. 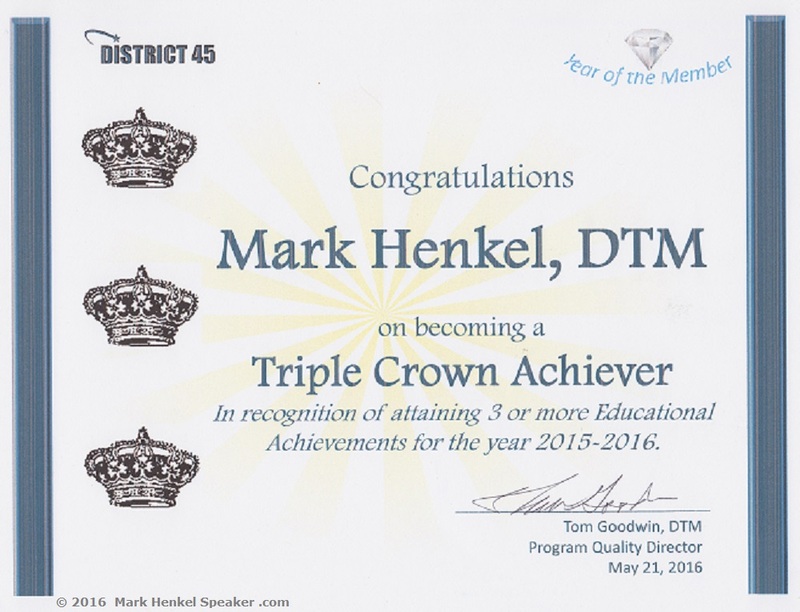 During the Saturday Awards Luncheon, I received the 2016 Triple Crown (Repeat Achiever) award. 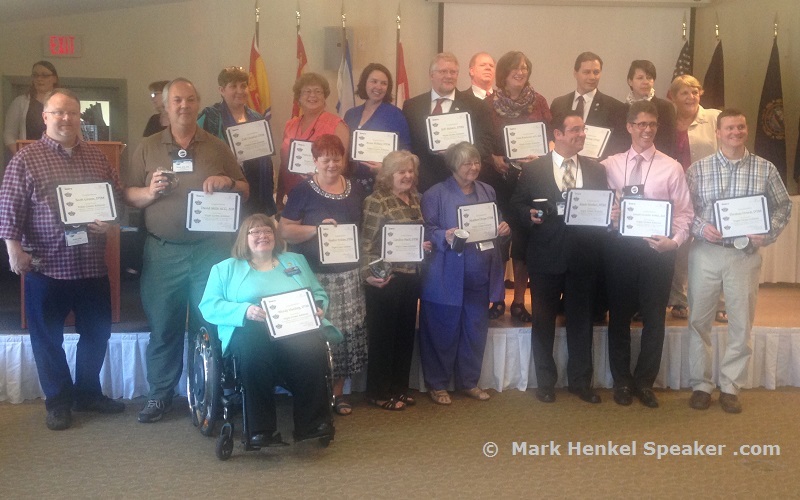 It is always fun crossing the stage for this particular award. 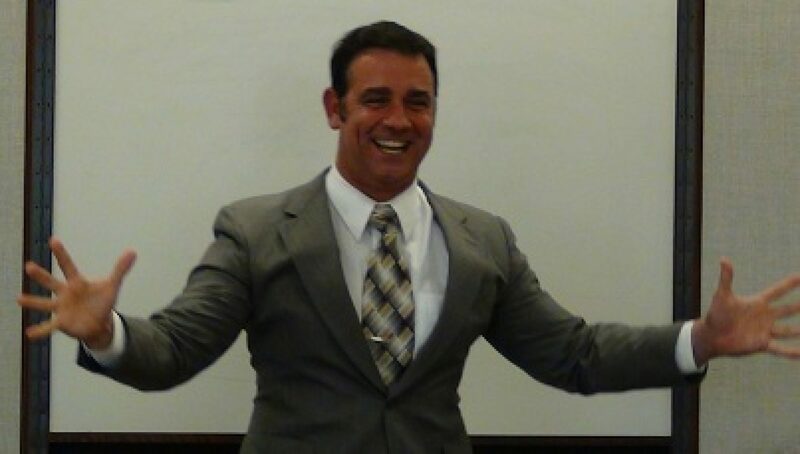 Here I am following after my mentor, Joe Grondin, on the stage. In front of the stage, other Triple Crown Repeaters (from left to right) are Past District Governors Wendy Harding, Heather, Perkins, and Candace Buell. While this was my sixth official Triple Crown, my collection of the new-last-year award, “Triple Crown Repeater” Coffee Cups, expanded. 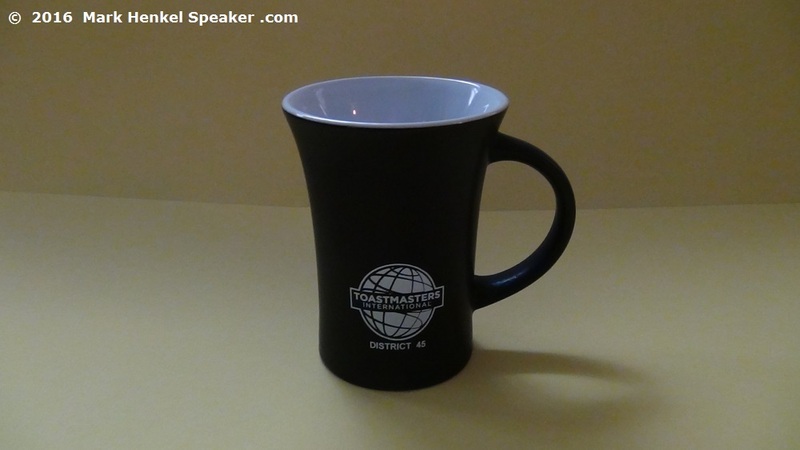 I now have two of these coffee cups! Here are all the Triple Crown Repeaters for this past year. To the right of me is Joe Grondin and Tom Dowd respectively. Outstanding company to be among. Throughout the weekend, I was able to network with new friends as well as meet up with old friends. 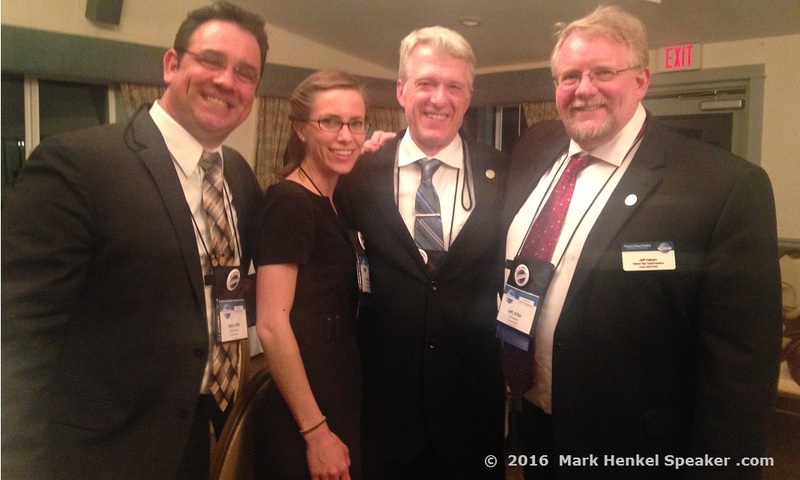 Pictured here is new awesome friend, Danielle Hardre, next to great old friends, Bob Bechtold and Jeff Hebert. 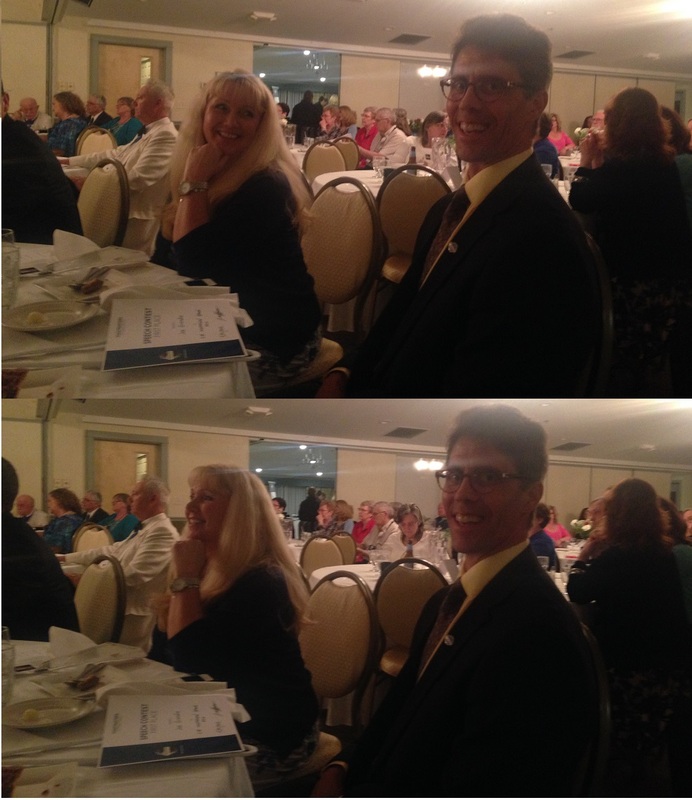 A District 45 Conference just isn’t complete without the fun of fantastic friends, Dan Bell and Malinda Regimbal. Of course, Malinda had to interrupt the series of nice pictures by starting to photobomb. She’s like that – lots of fun! 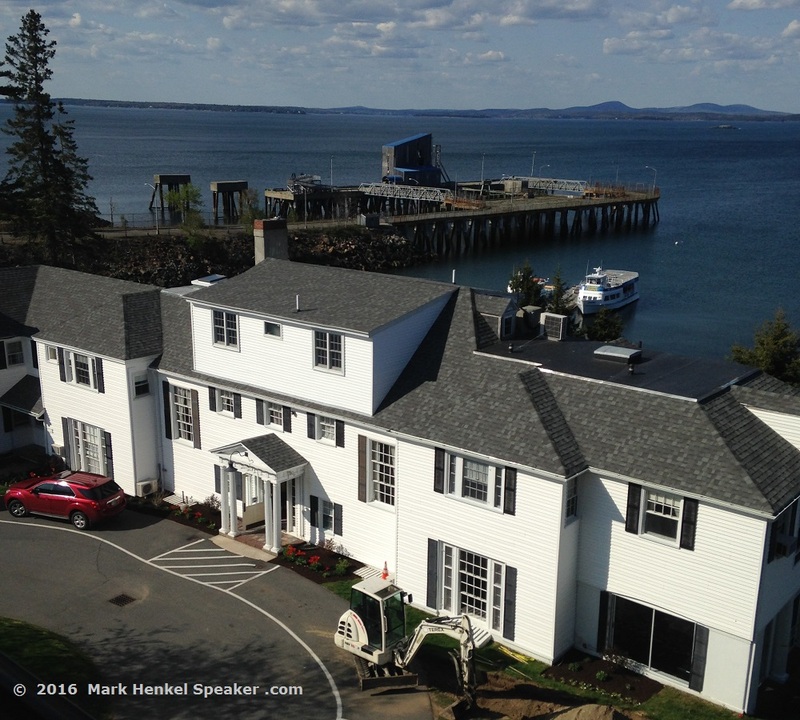 Absolutely, this was an enjoyable, fun, and productive time at the District 45 Toastmasters Conference in Bar Harbor, Maine, on May 20-22, 2016.